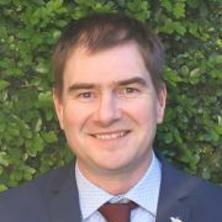 Author of over 150 peer-reviewed papers and Associate Editor for the journal Science of the Total Environment, Kevin is a strong collaborative researcher having founded the international SCORE network on sewer biomarker analysis for community health assessment (see www.score-cost.eu) and as recently reported in Science is currently establishing a global emerging contaminant early warning network (http://science.sciencemag.org). Assessing community-wide health status through urban wastewater fingerprinting. Alternative matrices for exposure monitoring. For example explanted silicone prostheses and wristbands. Microparticulate plastic particles as environmental contaminants. Analytical methods for the characterization of contaminants of emerging concern (target/suspect-screening/non-target analysis). Please follow link for further details. Deadline for expressions of interest 20th May 2019. PhD scholarship available in high resolution mass spectrometric characterisation of archived environmental and human biomonitoring samples. Come join our group at the University of Queensland working on chemical exposure in human and environmental systems. Non-target analysis employing high-resolution mass spectrometry (HRMS) has been established over the past years as one of the key approaches for tackling complexity and allows for the retrospective screening of previously archived HRMS data. This PhD project will focus on the HRMS characterisation of environmental and human biomonitoring samples for newly identified and novel contaminants of emerging concern. The student will work at QAEHS on the target, suspect and non-target analysis of samples from the Australian Environmental Specimen Bank and other opportunistic sample collections, generating data for a newly created ARC funded Australian Environmental Data Bank. The PhD student will receive all necessary training in HRMS analysis. Students will enrol through the School of Pharmacy. Further info. available here. Do antiparasitic medicines used in aquaculture pose a risk to the Norwegian aquatic environment? What else can the analysis of sewage for urinary biomarkers reveal about communities? Concerning the viewpoint; "an anti-doping sampling strategy utilizing the sewerage systems of sport villages"
Can wastewater analysis be used to inform on the clandestine production of methylamphetamine? Can wastewater-based epidemiology be used for the assessment of anabolic steroid use? Exposure mapping of pesticides combining waste water analysis with human biomonitoring using pooled pathology samples.